If you’re anything like us, you spend more time choosing where to work than actually doing the work. 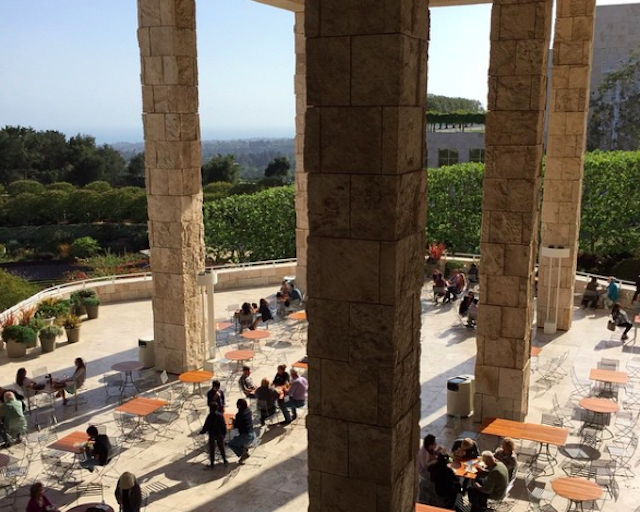 Sure, Starbucks is often a reliable go-to café, but LA has so much more to offer than the predictable noisy coffee shop. Good cafés? Angelenos love their coffee, but as soon as the place becomes so crowded a line forms out the door, you feel the pressure from coffee fiends and baristas alike to leave. Long story short, get out or face the consequences. It’s easy to assume that the only available study spaces are indoors—either in a library or a stuffy dorm room/office. But most students come to Southern California specifically because of its year-round perfect weather. So we say it’s time to take advantage of the warm breeze and sunlight that made picking LA so attractive in the first place. 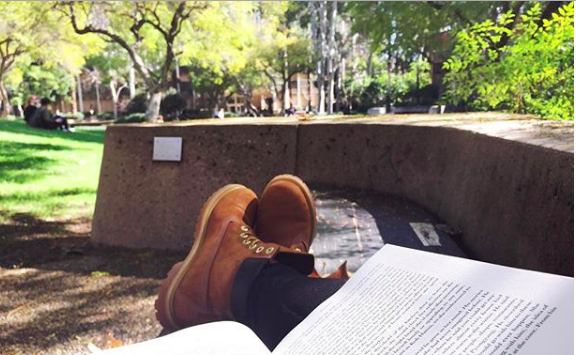 Here is a list of spots to change up your study routine with reliable wifi and comfy seating. And even if you aren’t a student, but are just looking for a break from your workplace setting, these locations are open to everyone. 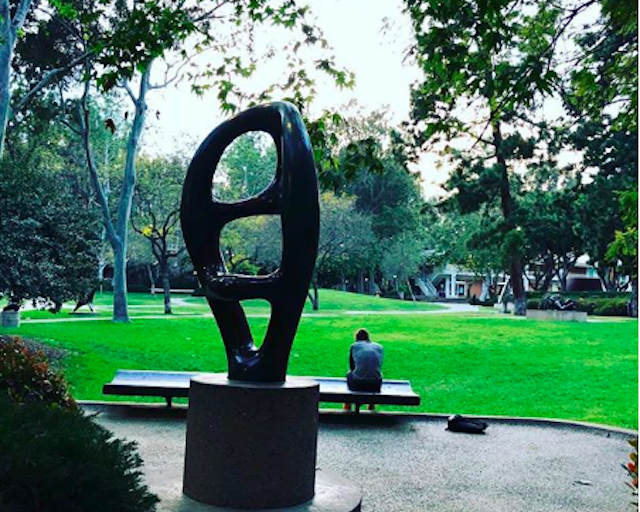 Spanning more than five acres, you can work among 70 statues by some of the most famous artists from the 19th and 20th centuries, including Henri Matisse, Jacques Lipchitz, and Auguste Rodin. 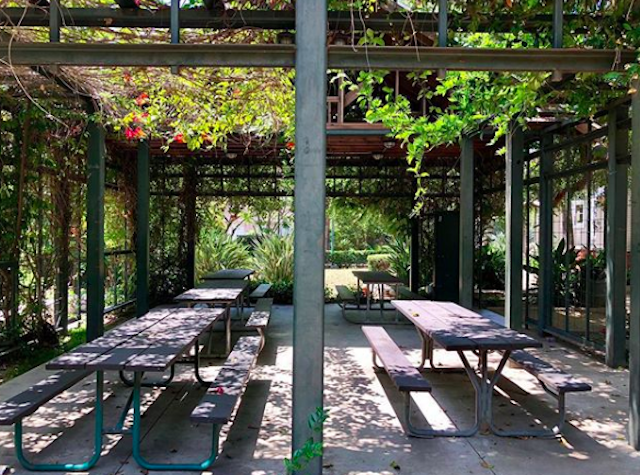 The garden occupies an area of UCLA’s north campus—i.e. a remote, and lightly-trafficked part of campus—so, there’s a good chance you won’t run into many noisy people. If you’re a big art fan and find yourself admiring the art more than the work you’ve done on your paper, then maybe book a tour of the garden instead! Most students spend over an hour just looking at the artwork, and you can even reserve a tour of the garden if interested! The Coffee Connection is a non-profit, which means their prices are as much a draw as the menu itself (re: more donation-based yoga class than Tier 4 personal trainer at Equinox ). 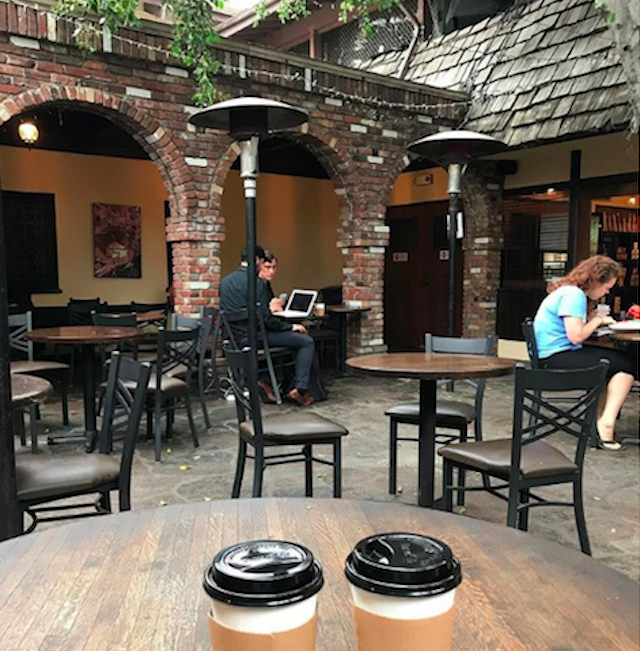 On top of offering its customers coffee and food, the café is furnished specifically for a comfortable working environment (there’s a patio and meeting rooms, too!) Unlike some cafés, they encourage laptops and long group discussion meetings. A bonus, the Coffee Connection provides its own exclusive and unlimited wifi (yes, it’s fast). 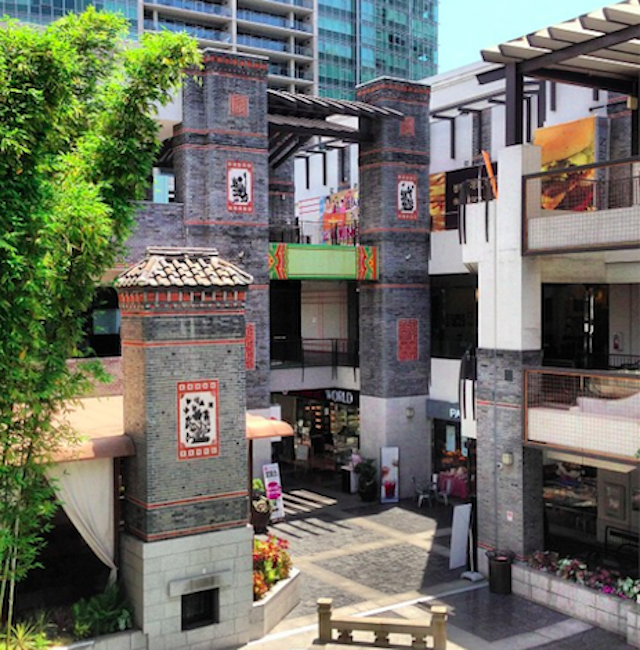 Madang, meaning “courtyard” in Korean, is a three-story mall filled with restaurants, stores, and entertainment facilities. The mall is outdoors and provides a center for free space. You could grab a bungeoppang (fish-shaped bread with sweet red bean filling) and take a seat on one of their benches before starting work. Although, while we can’t say it’s the most comfortable places to work, we do love the bamboo and the sense of calm this madang provides. Highland Camrose Park, located on the grounds of the Hollywood Bowl, offers people access to picnic tables and a grassy area. Typically, people use the tables for picnicking before a concert, but it is open to the public year-round. There's free Wi-Fi throughout the entire venue. Parking hours are from sunrise to sunset, and, hey, no parking fee. Want to get a hike in before a long study day? Trying to fight off the inevitable atrophy of your body following the days-long crunch of Finals week? Good news, cutting-edge studies show that exercise clears the mind and helps you retain information better! 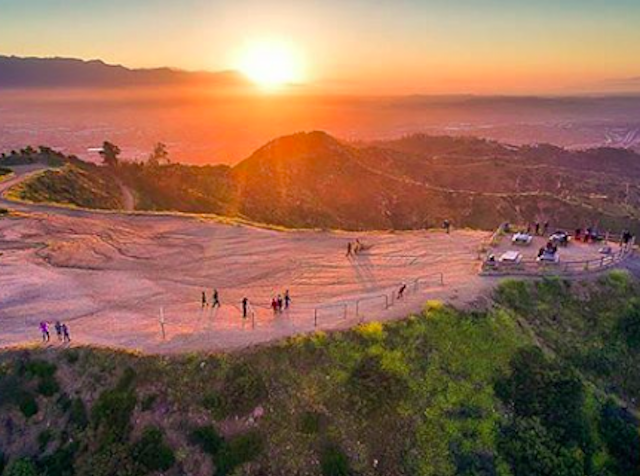 Start at the West Trail trailhead on Observatory Road and follow it up to a picnic area atop Mount Hollywood. You can pull out a book here (nevermind the Selfie crowd!) and lounge at any of the tables or benches. Otherwise, continue the hike to the top of Mount Hollywood, and even end up at Griffith Observatory if you’re ambitious enough. The wifi might be spotty here, but think of it as a no-distractions time. So, next time you want to get a hike in, bring a backpack and pack some books, and kill two birds with one chapter!